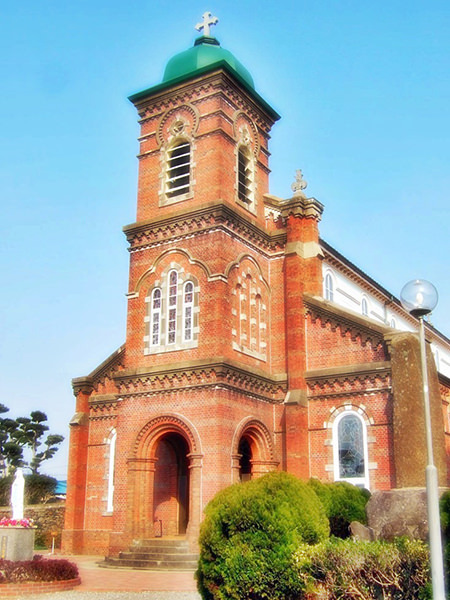 Tabira Tenshudoh is a catholic church standing on a hill in Tabira, Hirado City, Nagasaki Prefecture. It is one of important cultural properties designated by Japanese government. 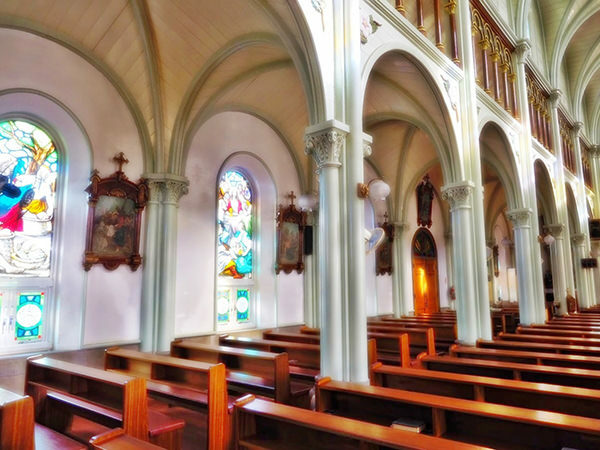 The church is overlooking Hirado Island, located to the north west of Kyushu Island (refer to #063), and the Hirado Bridge overhanging the Hirado Strait between Hirado and Kyushu Islands.